No pet owner would ever give their pet to someone else unless they are absolutely certain it would be loved as if it were their own. Our pet caring services are the finest in Dubai and you can be certain your favorite canine will be in completely safe hands. Our pet care team is trained and experienced and will care for animals of all sizes. We will give your pet the best care possible while you are away. Every animal wants to be in an environment that is comfortable and stress-free. If you have to work overtime, or attend a function just give us a call and we will take care of your pet. Pet sitting is the act of caring for your pet feline while you are away from home. Caring for your pet in your home is what separates us from doggie daycares or boarders. If you want an honest and dependable pet sitter, we are just a telephone call away to ensure you and your pet do not go through any undue stress. Modern life sometimes requires that you be away from your pet from time to time. You obviously cannot leave your pet for long periods without the proper attention and care. When it comes to your pet, you want the pet sitter to be someone who is totally right for the job. We understand that every pet owner has their own set of requirements. 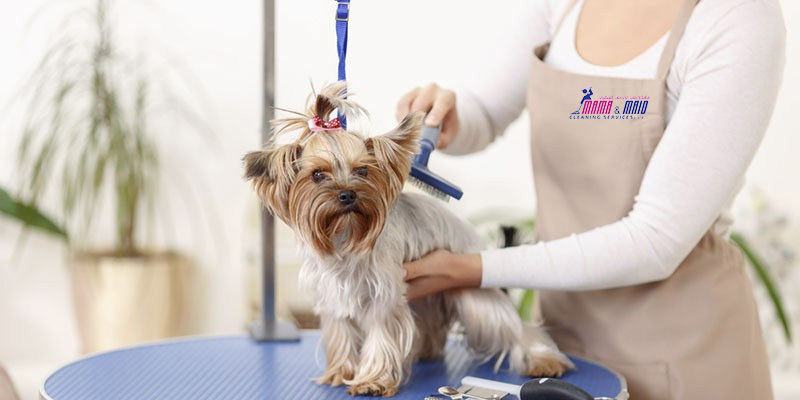 We make certain you get the right person to care for your pet, and you can rest assured that your pet will be showered with all the love and care in the world! We at Mama and Maid provide the most comforting and comfortable environment for you and your pet, when it really matters.